If it is more convenient for you to get directly to Slane you can book the visit without the bus. Members may recall that Slane Distillery hosted a fantastic tasting for us last year. The Irish Whiskey Society has now been invited to a unique "behind the scenes" distillery tour of Slane Distillery with co-founder Alex Conyngham and Distillery Manager Alan Buckley on Saturday the 13 April. 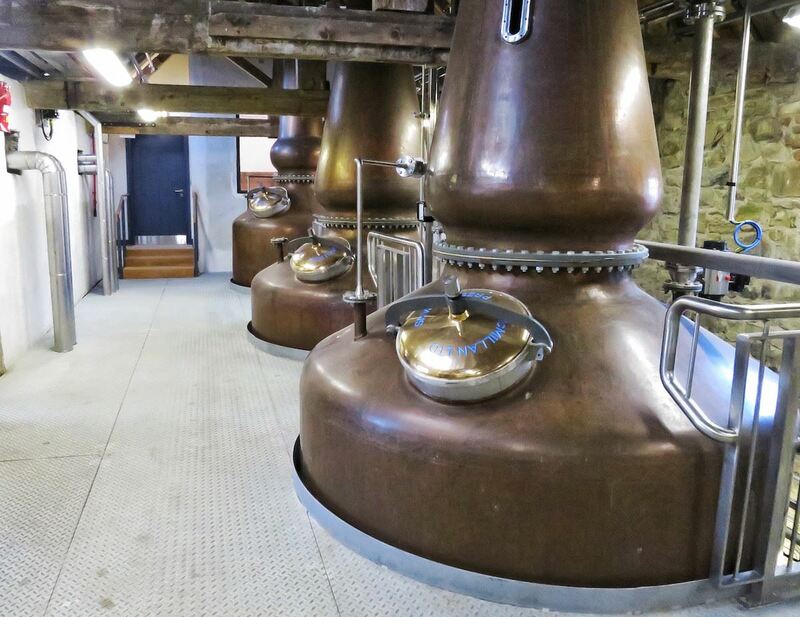 It will give us an opportunity for a deep dive into the detail of how this new state of the art distillery balances innovation and tradition while producing Pot Still, Grain and Malt Irish whiskeys. You will have the chance to learn and ask questions on the whole production process from grain to glass, via the mash-house, brew-house and still house followed by whiskey sampling in the stable yard. A bus has been arranged to take you there from Dublin and back. circa 11am - 1pm distillery tour, discussion with Alex and Alan. 1pm - 2pm free time for members to either have lunch at the castle or roam the grounds. There is modest fee of €10.00 to pay for the bus. If you need transportation, this is excellent value. The tour itself is provided complimentary to Society Members. Secure your place by booking now, asattendance is limited. If you do not need to go on the bus, be at Slane Castle for 11 AM and meet up with the Society Members arriving by bus at the entrance to the Stables and Distillery. Parking is free at Slane. The formal tour is expected to end around 1 PM. There is no fee to Members for this, but you do need to book a place, as attendance is limited.